Genuine semi-precious gemstone necklaces have soul! Gemstones have thousands of years of history and are natural products of the earth. Not only that, they have wonderful colours, inclusions and reticulations which create their character and uniqueness. See the glorious banded colours in our agate necklaces and the peacock shades in our chrysocolla necklaces. 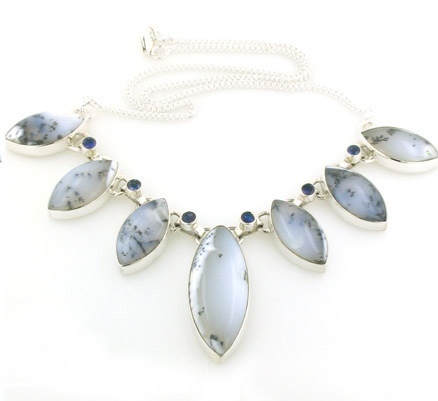 For iridescent glow, a moonstone necklace or a labradorite necklace is a must have. Explore the beauty of faceted gemstones such as our peridot necklaces and swiss blue topaz necklaces.